Whit was a Managing Director and General Partner of TCR, a Quilvest affiliated mid-cap buyout fund in the United States, for 17 years. During his tenure at TCR, he sourced, selected and closed several buyout transactions. 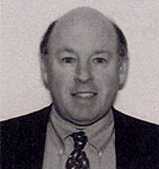 ln 2003, Whit founded Clearbrook Advisors, a private equity advisory firm. Whit advises Quilvest and a select few other family offices in their fund selection process. Prior to TCR, Whit was a Vice President at Chemical Bank. Whit is a graduate of the University of Vermont, and is married with three children.